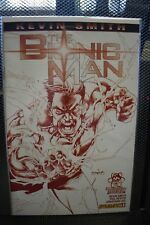 The Bionic Man #1 Red Sketch Variant Kevin Smith Dynamite! The Bionic Man Kevin Smith #1-15 Alex Ross Covers Dynamite Comics NM Cond. 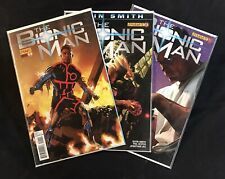 Dynamite THE BIONIC MAN (2011) #10 14 15 16 19 Lot KEVIN SMITH Ships FREE! Dynamite BIONIC MAN #1 4 +ANNUAL + Vs BIONIC WOMAN Kevin SMITH VF/NM Ships FREE! This page was last updated: 21-Apr 18:04. Number of bids and bid amounts may be slightly out of date. See each listing for international shipping options and costs.